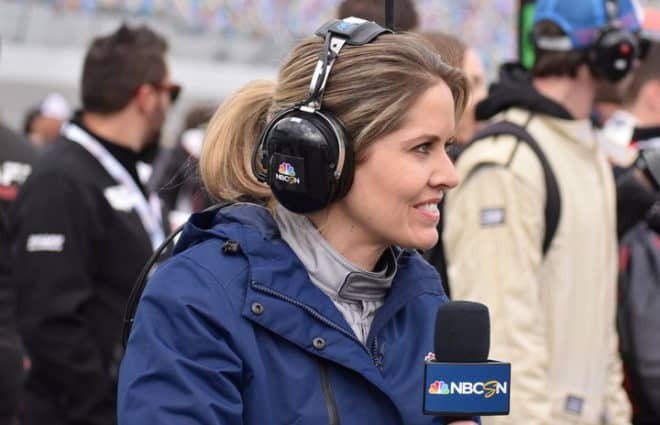 As the NASCAR season rolls on, a familiar pattern unfolds around its qualifying bubble; the number of “locked in” teams in jeopardy of falling below the cutline grows smaller each week. 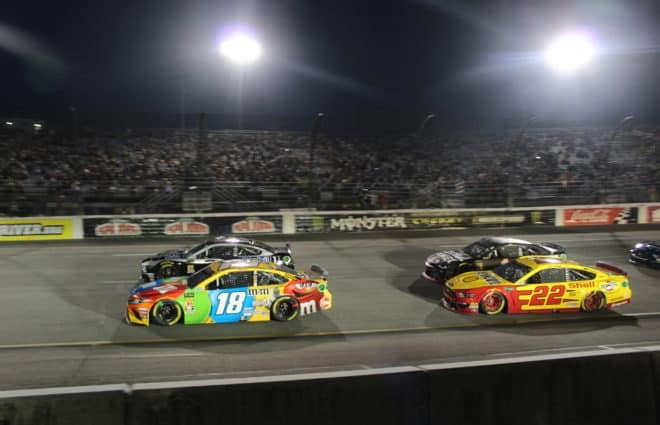 The lower half of those 35 guaranteed a starting spot continue to distance themselves — permanently putting aside worries of the dreaded DNQ — and Richmond was no exception to their slow but steady pull from the pack. It didn’t help the cause of their challengers that this weekend was an impound race; with no changes allowed after qualifying, those outside the bubble started with setups designed to make the field on a two-lap run — not a 400-mile marathon. 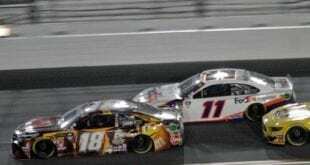 That meant when the dust settled from the Saturday night short track brawl, the results were a knockout punch to teams trying to climb their way back up the ladder. 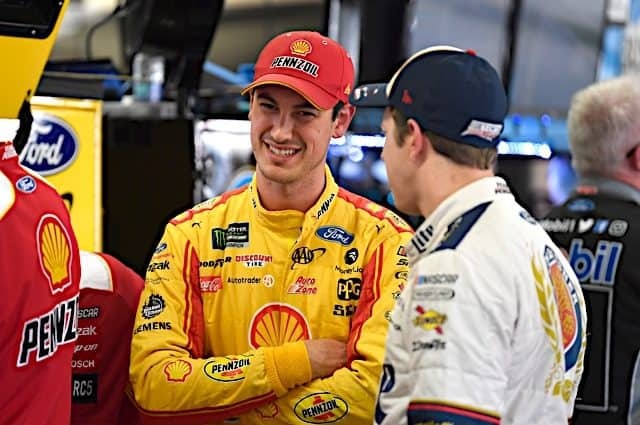 Four of the six teams ranked 30th to 35th in the owner standings posted finishes of 23rd or better; in comparison, the eight drivers from 36th to 43rd had just one finish better than 27th. And as if the “safe” teams needed any more help, for the second straight week the car 36th in owner points missed the race; as a result, the distance between the Top 35 and the first car “on the outside looking in” expanded to 71 points. That’s quite a jump, especially considering that just two races ago, the margin had shrunk to only three. Chip Ganassi Racing’s Reed Sorenson posted his best finish since the season-opening Daytona 500, bringing home his No. 41 Target Dodge in 12th to distance himself from the top 35 pack. 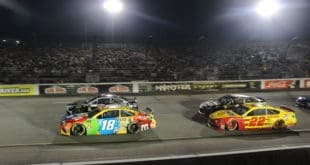 Sorenson took advantage of the Lucky Dog rule twice to get back on the lead lap, then avoided the wrecks that many other drivers didn’t as he put together a solid performance at Richmond with new crew chief Donnie Wingo. 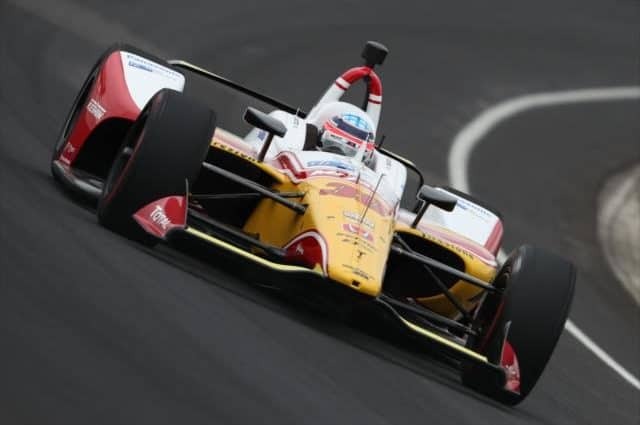 For his efforts, Sorenson moves up two spots in the owner standings to 30th; however, his margin of error is still small, as he’s within one race (119 points) of falling outside the Top 35. Ah, the relief to be on the right side of the bubble; Regan Smith and the 35th-ranked No. 01 DEI team continued to take advantage of the inability of their main challenger — the 36th place car — to make races. On Saturday night, the Cato, NY native qualified virtue of the final locked in spot, then got lucky enough to keep his DEI Steak-Umm’s Chevrolet in one piece; he spun through the middle of the short track’s “Big One,” but avoided contact with anyone and anything. Staying out of trouble after that, Smith rallied for his second straight 21st place finish — two laps off the pace — to win the Rookie of the Race Award for the fifth time in ten events this season. As a reward, the driver of the No. 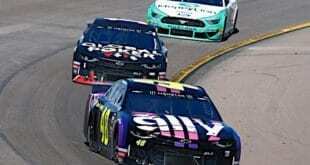 01 finally moved his team off the bubble and into 34th in the standings; Smith also took the overall lead in the Rookie Of The Year race, as well. Bill Davis Racing’s Dave Blaney didn’t qualify for Talladega last week, thus missing out on the “Big One” that defines restrictor plate racing. He made up for it this time around, though, causing a multi-car wreck at Richmond when, on lap 229, he got into the No. 96 Toyota driven by J.J. Yeley. The resulting chain reaction claimed over ten cars by the time it was all over; but Blaney’s No. 22 Caterpillar car was able to avoid major damage in the incident, and went on to finish 18th. That allowed BDR’s Caterpillar Toyota to benefit from the attrition it caused; the finish moved the team up three spots in the owner standings to 36th. However, their Toyota still sits 71 points out of a guaranteed position on the grid heading to Darlington, meaning qualifying will be a nailbiter for the team once again. With the number of bubble teams shrinking as the season goes on, we’ve really only got two losers this week. Michael Waltrip stands out like a sore thumb, however; he slipped two spots to 33rd in the standings, finishing a dismal 37th in Richmond after totaling his NAPA Toyota. Making it all the more embarrassing, on lap 355 NASCAR parked the No. 55 after an on-track incident with Casey Mears took them both out of contention. Waltrip has struggled again this year, recording eight finishes of 27th or worse and no top 20s in the season’s first ten races. With crew chief Bobby Kennedy’s group continuing to struggle, a quick and significant change of direction is needed if Mikey wants to keep his Toyota in the Top 35. This week’s car that squandered an opportunity to move into “locked in” territory is Chip Ganassi’s No. 40 group. With main driver Dario Franchitti sidelined, substitute Ken Schrader was unable to qualify the Kennametal Dodge for Saturday night’s race — leading to devastating results. The team’s second DNQ of the year, the No. 40 car went from 36th place in the owner standings — 61 behind the bubble — to 39th, 128 out of that all-important 35th position. 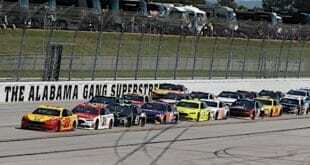 The DNQ was all the more painful when you consider how close the team came to a top 5 finish at Talladega — a run which would have given them an automatic spot for this weekend’s race — until a last lap wreck stripped them of their solid finish. Still, Chip Ganassi got a boost that Sunday from one of his former drivers in David Stremme, and he’ll hope it works again next week, too; Sterling Marlin will attempt to qualify the car at Darlington while regular driver Franchitti continues to nurse that fractured ankle. With the track being resurfaced during the offseason at Darlington, last year’s results mean nothing when trying to predict Saturday night’s 500-mile showdown. Ward Burton’s qualifying record of 173.797 miles an hour, set in 1996, probably won’t even make the field this time around; three cars hit 200 mph at the end of the backstretch during tire testing in March. I know that you’re thinking — but that number is not a misprint, even at the Track Too Tough To Tame. Teams will be forced to throw years of notes out the window; instead, the key for teams needing to qualify will be adjusting efficiently and effectively to the track with just a handful of hours of practice time before qualifying. Looking into a somewhat clouded crystal ball, I like top 25 runs from Regan Smith, David Reutimann, and Reed Sorenson on the egg-shaped oval, allowing themselves to further solidify their spots above the bubble. As far as the Go or Go Homers, the ball says Patrick Carpentier, J.J. Yeley, and A.J. Allmendinger all make the race — but finish no higher than 30th, allowing themselves to slip further into the hole of having to qualify each weekend. Finally, if recent history is any indicator, Dave Blaney will make it three races in a row that the 36th place team fails to make the field. In two starts with the No. 22 car here, he hasn’t qualified better than 27th — and this time around, don’t expect him to be good enough.